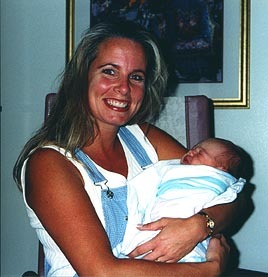 Jake was born on August 14th, 1998 at 11:25pm after 5 1/2 hours of labor. Dr. Chiu decided to induce my labor on my due date because there was concern that the baby was moving out of the birthing position. 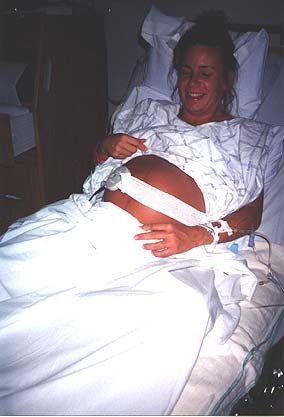 I was given pitocin at 6pm although my labor had slowly started on it's own earlier that day. Jim and I were visited by several family members throughout the fairly short labor. It was exciting to share the anticipation with everyone. That is, until the pain started getting unbearable around 9pm. At 11pm I was given an epidural for the pain. About 15 minutes later the pain subsided just as it was time to start the final stage of labor. In the delivery room my sister, Mary, took pictures, while my mother-in-law, Cheryl, filmed the birth with the video camera. 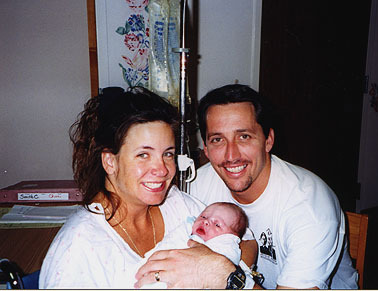 Jim was a wonderful labor coach, center there keeping me calm throughout the very painful contractions. After 1 push, Jacob Lee Smith was born at 11:25pm weighing 7 pounds, 13 ounces. He was 20 1/2 inches long. At the Hospital... Here we are at 6pm, just 5 1/2 hours away from meeting Jacob for the 1st time. The Birth… Welcome Baby Jake!!! Jake is just an hour old. 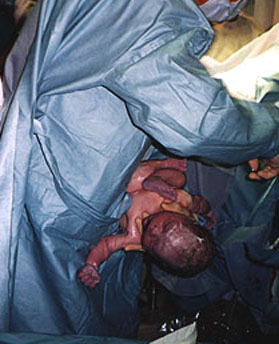 This was taken in the delivery room as we were about to be taken to a private room. The new mommy looks a little worse for wear, but the proud papa is smiling and proud as can be. Jake just 10 hours old hanging out with his mommy. 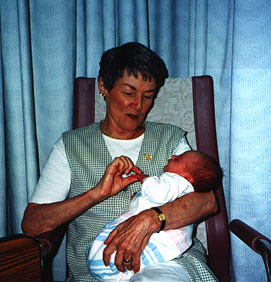 Grandma Harper (Donna) is looking at his tiny fingers. 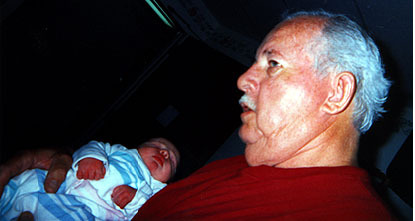 Grandpa Harper (Lee), Jake looks so little in his arms. 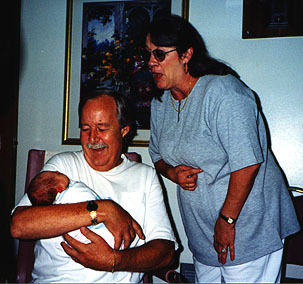 Grandma and Grandpa Smith (Cheryl and Bob) with their newest grandchild. 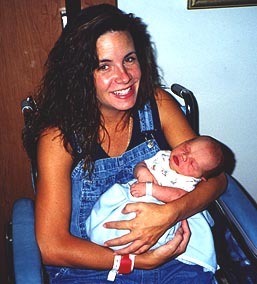 Aunt Mary (she was taking pictures at his birth). Jake at home. 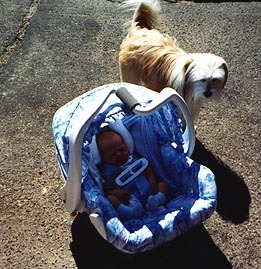 Stockton wondering WHO that baby belongs to!. 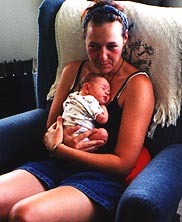 Aunt Amy holding her very 1st nephew. 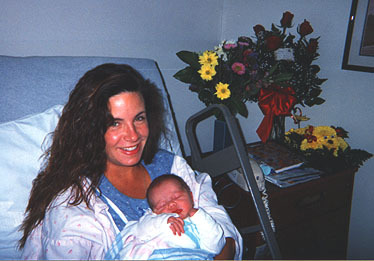 Kellie and her daughter Caitlyn. Sue came with Kellie but her daughter, Macey, was sick at home. 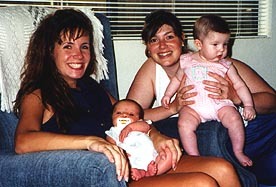 Stephanie was a welcome site but Jake missed meeting his 2 newest friends, her daughters, Miranda and Malory. 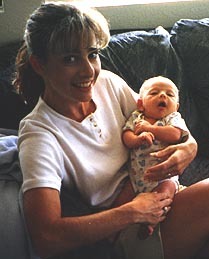 Sandy brought her son Bret to meet Jake, but center Michael and Breanna home. Unfortunately, my two closest friends live out of state. 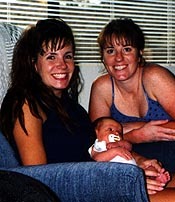 Lorrie has two children, Brittany and Conlan, and gave birth to another daughter, Channing, 2 weeks before Jake was born. 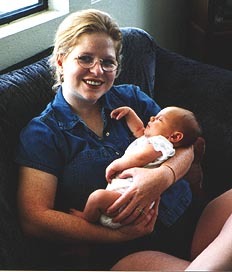 What fun we could have with our kids together if she still lived nearby. She sent flowers and called with loving words you only hear from your best friend. Kate has two children, Rebecca and Parker, and she was another who was there with support and congratulations over the phone. We have grown up together and it was great to be able to share this experience with her. 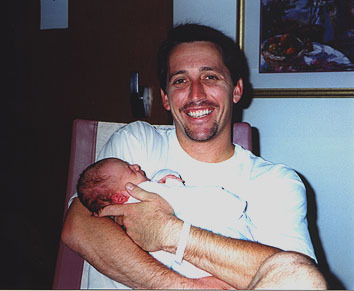 I would have loved having them both close enough to come visit and bring their kids over for Jake to meet.